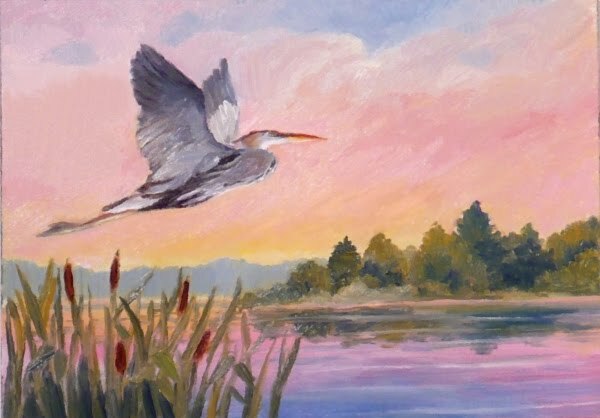 The sky is blushed with pink early one morning as the Great Blue Heron lifts off to find a good fishing spot for the day. These herons are majestic in flight. I have tried to capture that in this painting along with the stillness of the lake at dawn. This painting has been sold. Take a look at my website for my artwork for sale: zehoriginalart.com. Thanks and have a lovely day!